It would be no exaggeration to say that Chuck Norris is a living legend. The American martial artist, actor, writer, and producer is a household name across the world and has played a significant role in some of the biggest movies and television series from the last four decades. 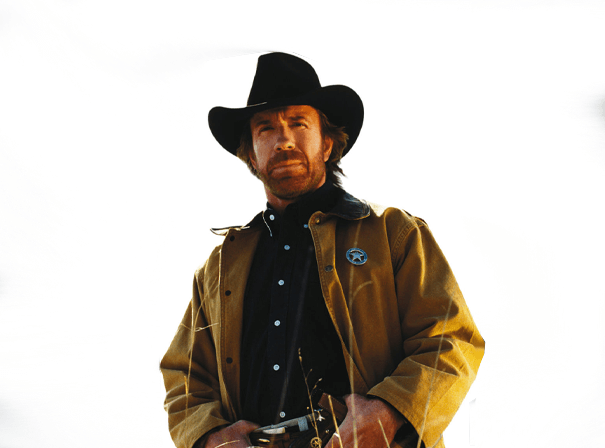 Best-known as the star of the 1993 to 2001 TV series, Walker, Texas Ranger, which was broadcast in over 100 countries, Norris has appeared in numerous action films, such as Good Guys Wear Black, Code of Silence, The Octagon, The Hitman, The Delta Force, and Way of the Dragon, where he starred alongside Bruce Lee. His executive producer credits include The Cutter and Sidekicks, and he’s choreographed on-screen fights for numerous productions. Norris is also a two-time New York Times best-selling author, martial arts championship winner, and even has a much-deserved star on the Hollywood Walk of Fame. Making his acting debut in Dean Martin’s 1969 film, The Wrecking Crew, it was three years later that Norris would play the heinous Colt in Way of the Dragon. He began his martial arts training just after leaving the United States Air Force in 1968, and in tandem with his acting career, honed his skills in Tang Soo Do, Taekwondo, Karate, Brazilian jiu-jitsu, and Judo before founding the fighting school Chun Kuk Do. Still regarded in popular culture as one of the world’s toughest characters, Norris has taken a step back from acting to work on his writing and community projects.